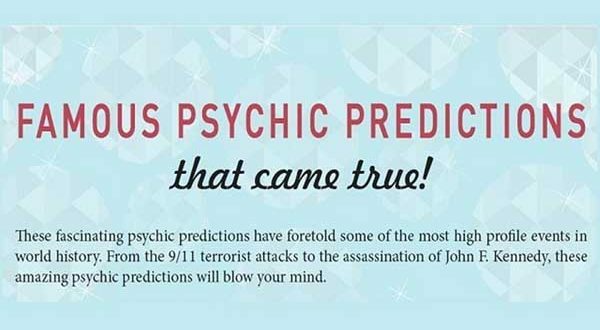 Psychic predictions are always made fun off with some clichéd statements such as “Why don’t they predict the numbers that would be winning the next lottery?” But there have been several instances where the psychics have been able to actually predict and see the future. Making psychic predictions is never easy. It involves lots of learning, practice and experience. Many people who ridicule do not understand the amount of work that makes someone an outstanding PSYCHIC. Here are five of the amazing psychic predictions that have changed the world. These predictions have been made by some of the best American Psychic, who have attained world wide following due to their remarkable work. Jeane Dixon was an Psychic / Astrologer in the 1960′s who became both a syndicated columnist and had a best-selling biography. In the May 13, 1956 issue of Parade Magazine the readers saw a prediction that read “1960 presidential election would be dominated by labor and won by a Democrat who would eventually be assassinated in office.” JFK won the 1960 presidential election and was assassinated in 1963 during his office. Dixon is famous for accurately predicting the assassination of President John F. Kennedy. Although Mark Twain is not a psychic, his prediction about his own death is not any prediction that can be neglected. He is said to have born in the year when the comet was visible. It is said that he had a dream about his brother’s funeral. He also claimed that he would die when the comet was visible again. In 1910, Halley’s Comet moved back into visibility and Twain died. Psychic Edgar Cayce is sometimes referred to as “The Sleeping Prophet,” and is the most well-known american psychic of the twentieth century. Cayce is credited with predicting the start and end of World Wars I and II, the end of The Great Depression, the deaths of sitting Presidents Franklin D. Roosevelt and John F. Kennedy. His predictions about the onset and subsequent end of the Great Depression were made in 1924. He made the prediction that the Stock Market would crash and spent the next few years teaching people how to make preparations for it. As guests on the Art Bell radio show on November 2, 1999, the twins Terry and Linda Jamison said that they were able to see Federal Government buildings in New York being attacked by terrorists in 2002. And, on September 11, 2001, as we all know, terrorists took down the World Trade Center buildings in New York City, which cost the lives of thousands of innocent civilians. American Tana Hoy is a psychic medium who claims to not only hear guides and spirits, but to see them physically as well. Tana Hoy was doing a live radio program in Fayetteville, when he predicted that he foresaw a deadly terrorist attack getting ready to occur on a building in Oklahoma City. Many minutes after his statement, tragedy struck at the Alfred P. Murrah Federal Building at the hands of domestic terrorist Timothy Mcveigh. 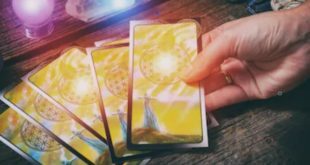 There are renowned people who have believed in psychic techniques from ancient times till date and have reached success. Victory in war to the new world politics to the natural disasters have all been through psychic visions. Some are well-known and many are known only to a closed group of finite people. But these 5 major revelations would make a pessimist as well believe about psychic predictions.